What’s New Wednesday – Can You Spare a Fiverr? How much would you pay to have not one, but two cows dance in front of your logo? Today we have the luxury of being able to purchase anything, absolutely anything, from our laptop or phones. And this omnipresent availability has driven our price expectations and realities to incredibly low prices. But even at that, what would you expect to be able to purchase for five dollars? Surprisingly, and maybe even frighteningly, quite a bit. Maybe you’ve heard about Fiverr.com. As defined by Wikipedia, Fiverr is a global online marketplace offering tasks and services, beginning at a cost of $5 per job performed, from which it gets its name. The site is primarily used by freelancers to offer a variety of different services, and by customers wanting to buy those services. Over 3 million services, over 100 product categories, all starting at $5. Is this a great country or what??? A quick review of the Fiverr web site will show you that most of the services offered tend to cater to those desiring some sort of creativity – graphic design, copy writing, branding, stationery design and even legal services. Well, I certainly appreciate a creative lawyer. We offer creative services (duh), and charge much more than $5.00. We often use local designers and other freelancers and they charge more than $5.00. I’m willing to try most anything once. And I have used Fiverr.com not once, not twice, but three times. And finally, we decided to splurge and celebrate the fact that we are, All About That Print. But does this whole cheap-creativity-on-demand undermine our services, and those of other artists, designers and creatives? Few, if any of these “gigs” cost $5.00. Most all of them have add-ons. My Finger Fiverr was in fact $5.00; the Play-Doh video was $25.00, and as far as the All About That Print video, I rewrote the lyrics – Fiverr provided the music and vocals for $85.00. We produced the video in house. These gigs are what they are – inexpensive and expedient. They may serve a specific purpose, but you do need know what you are looking for. And you absolutely must remember, as in most all things, you do get what you pay for. 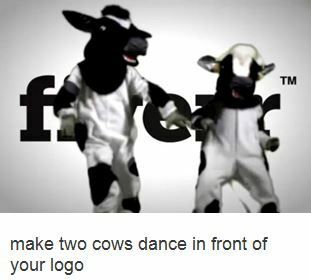 So if you need to have cows dancing in front of your logo, by all means, use Fiverr. But if you need true creativity, a concept, a cohesive design, or a true marketing campaign to tell your story, you will need to look elsewhere. Preferably here. https://customxm.com/wp-content/uploads/2015/02/fiverr-gig.jpg 280 311 Paul Strack https://www.customxm.com/wp-content/uploads/2013/05/custom-xm-logo-300x100.png Paul Strack2015-02-17 20:21:342015-02-17 20:21:56What's New Wednesday - Can You Spare a Fiverr? Never has there been so much anticipation over something we expertly deal with on a daily basis. It’s important that we do talk about this and eliminate all our fears and anxieties. 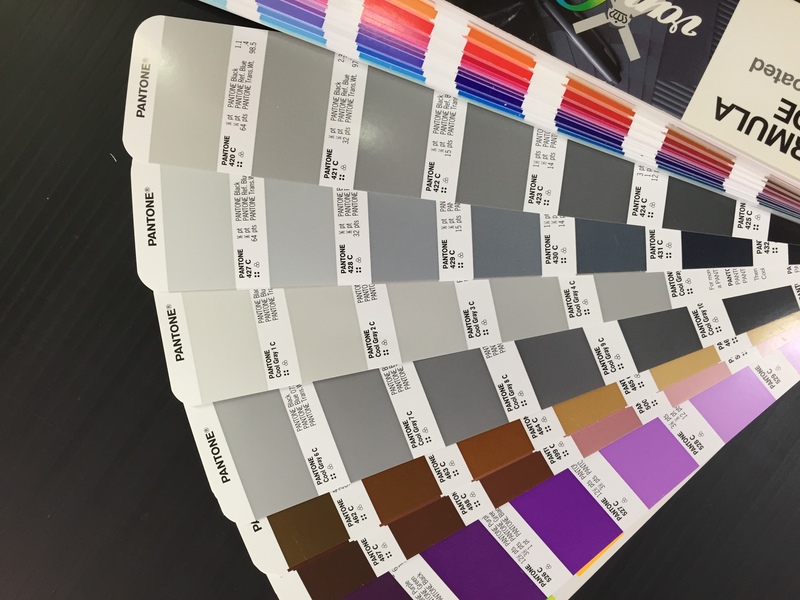 While we don’t have exactly 50 Shades of Grey to choose from, we do offer a wide variety of exciting options. We don’t require contracts for most of our services, although we are happy to produce them, even in multiple parts if requested. We do offer online submissions. If this is your first time, we know you may feel apprehensive about some of our services, but our quality team of customer service experts encourage you to sit back, relax, close your eyes and allow yourself to become totally satisfied. Yes, we do offer a complete bindery service. Often, our creations are quite stimulating. When you entrust your print, marketing and signage services to us, you will no longer feel the need to be chained to your desk. Get out and explore the world! Our goal is to help you dominate your industry. Contact us, we’d love to engage in some one-on-one conversation. Office Depot is Gone, Should I Buy VistaPrint? The good news is that for printing services in the North Little Rock area (and Little Rock area too, I suppose), I have one less competitor to worry about. With the recently announced buyout of Office Depot by Staples, I should now rest easy knowing that some of my competition is going away, right? Since this merger will result in fewer big-box office stores, those businesses needing printed collateral, stationery, marketing materials, banners and posters will now be more willing to visit us, right? Okay, wipe away those tears and continue reading. Who consulted with them on their branding? Who assisted with the design of their logo? Who installed some of their banners and signs? Who advised them on the need for consistency in their marketing efforts? Did they purchase a database, or was EDDM a better solution for their postcard? Surely they incorporated the use of social media as part of their marketing efforts? And most certainly they developed a cohesive strategy and plan to implement all these efforts, right? I certainly agree that the online and mega-mortar providers do a good job in fulfilling many business needs, especially if these needs relate to commodity items. But certain customized products and services require more than a simple SKU. They require conversation, a dialogue, maybe even a face-to-face meeting. They require the personalized attention that our team at CustomXM has been providing for over 48 years. I enjoyed The Postcard video. But more than that, I enjoy the never-ending stories we help create for our customers, and we’ve been doing this for 48 years! But let’s face it, the story of Barrett & Sons Bakery is most likely fictional. That’s where we have the upper hand on VistaPrint and the others. We are proud to share this story of a REAL Bakery, now in its 3rd year. What we lack in video and audio quality as compared to that of The Postcard, we certainly make up for in passion and snarkiness. And please note that this video was made months before The Postcard. Once again, wipe away those tears and let us know how we can help tell your story. And we can even let you buy business cards online, too (500 full color for $58.00)! https://www.customxm.com/wp-content/uploads/2013/05/custom-xm-logo-300x100.png 0 0 Paul Strack https://www.customxm.com/wp-content/uploads/2013/05/custom-xm-logo-300x100.png Paul Strack2015-02-07 16:08:232015-02-08 18:12:34Office Depot is Gone, Should I Buy VistaPrint? Upon entering his freshmen year at college this past fall, our son was required to purchase an iPad for a particular class. When our daughters began high school, we were required to purchase new laptops through the school for use with various components of the curriculum. Recently, our 22 year old son, a senior, was taken aback by a professor’s request to NOT take classroom notes via a laptop or tablet. In fact, all electronic note-taking is prohibited in this professor’s class. And now J.C. Penney is resurrecting its print catalog. I have always been somewhat of an early adopter, and have embraced technology whenever possible. Yet, my livelihood is dependent upon the use of that ancient form of communication – print. Needless to say, as we begrudgingly continue to one day become that “paperless society”, I can’t help but grin at recent developments to the contrary. 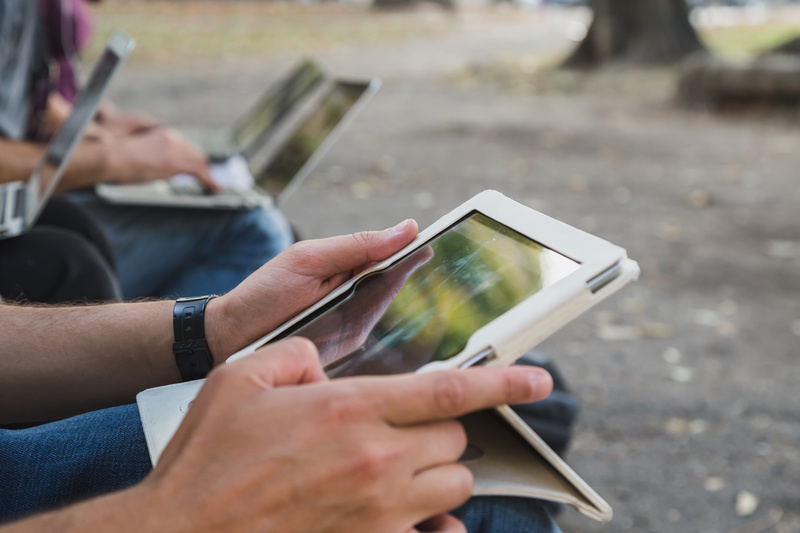 If we are encouraging our students at the collegiate, high school, elementary and even earlier to immerse themselves in all things digital – especially the tools used to advance their education – how do professors justify removing these same tools giving similar reasons? 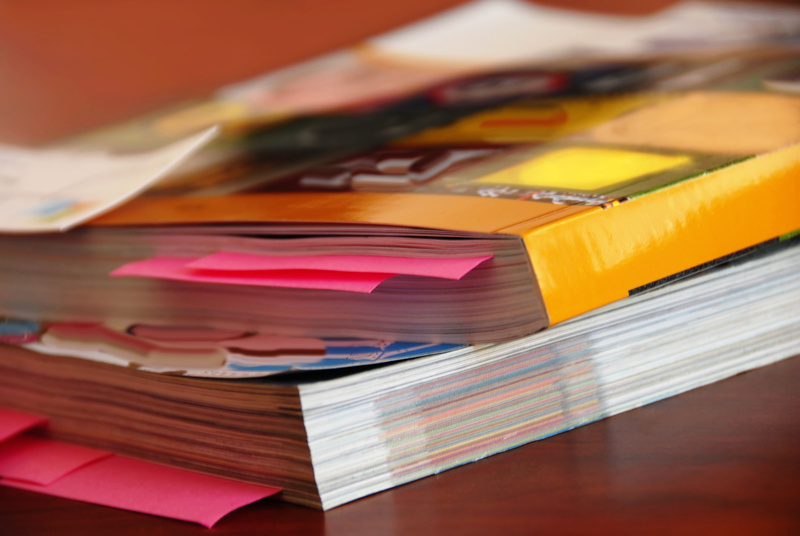 If online shopping continues to grow exponentially, why would a major retailer bring back a dinosaur of a catalog? 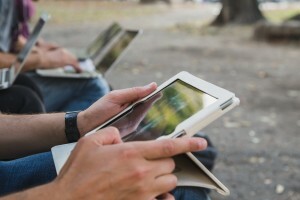 A scientific response could be that neuroscience studies show that physical media such as print leaves a deeper footprint on the human brain than the virtual. I think this suggests that if I write down my grocery list I will remember it better than if I type it in my notes on my phone (with the underlying assumption that I leave both the list and my phone in the car). But I never did like science. So let’s explore further. Recent studies continue to indicate how in spite of all the tech tools available to us, print, paper and yes, even handwriting deliver proven benefits and continue to play an essential role in education and development. While laptops are commonplace in university classrooms, one of their drawbacks is the distractions they offer. Some research has shown that multitasking on a laptop poses significant distraction not only to the user, but to fellow students as well. J.C. Penney has struggled over the years. It has continued to try to crawl its way back from recent sales declines. So why do they decide to bring back this antiquated, phone book style medium? The answer, it appears, is that in some instances, “if you build it, they didn’t come.” When Penney’s decided to discontinue the Big Book in 2009, it was anticipated that catalog shoppers would migrate online. But it didn’t actually pan out that way. The company eventually learned that a lot of what they thought were new online sales were actually catalog shoppers using the website to place their orders. And after a half-decade hiatus, it is bringing back its catalog. Now, retailers are rediscovering the books as a branding tool that can drive sales. According to Kurt Salmon, 31% of shoppers have a catalog with them when they make an online purchase. What then, does this tell us? Print drives sales! And print helps you learn and remember! As if you and I didn’t already know that. Now where did I put that grocery list??? 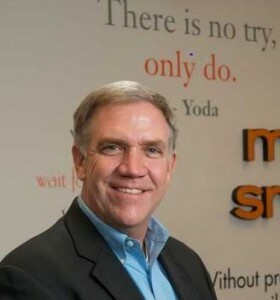 https://www.customxm.com/wp-content/uploads/2013/05/custom-xm-logo-300x100.png 0 0 Paul Strack https://www.customxm.com/wp-content/uploads/2013/05/custom-xm-logo-300x100.png Paul Strack2015-02-02 13:53:372015-02-02 13:56:13Can This Be Write?